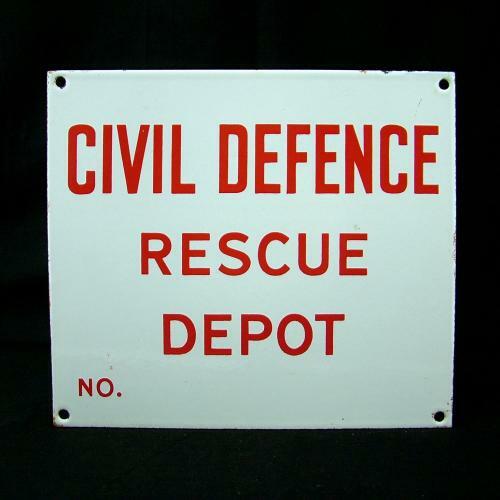 Wartime Civil Defence 'Rescue Depot' sign. Approximately 20.3 x 17.8cm. Enamelled steel with red text on a white background. Minor paint loss and light surface corrosion at the edges but generally in excellent condition. Great sign. Stock code M21896.